Marie’s husband was a hard worker, and he had done his best to scratch out a living on their Tennessee farm. Even in those days times were tough for a large family. When the husband received an offer from a neighbor to purchase their Tennessee place, it seemed like a good time to pull up stakes and move to California. Desiring to assist his daughter and his nine grandchildren, Marie’s dad drove his car to Tennessee to help their family make the move to California. Arranging a house for them he had also secured work for the husband at the Auto Wrecking Yard. Even though we could hardly afford to do so, Robert and I took several boxes of groceries to their place to help stock their cupboards. The boxes included canned goods, meat, some staples and a box of oranges for the kids. We were horrified when the older kids instead of enjoying the fresh fruit, began to have a throwing fight with each other. Quickly I managed to stop all the throwing and then it was needful to give them a lesson on how to eat an orange and about the value of food. It seemed that the school had certain days when those with a need could come and get clothing, and I saw nothing wrong with that. However I had to be bold and tell Marie, that she had lied to me, and this time I would take her, but she had betrayed my trust, and today would be my last trip to help her. There are times when you can only go so far. It is sad to say, that this woman was a habitual liar. She could not even open her mouth to speak - - with out telling a lie. Even more depressing was the fact that she was also training her children to become liars. I am reminded that the Bible says that LIES are an abomination to God. 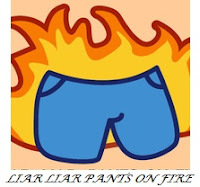 It also states that all liars have a very hot place to go to. After all Satan is the father of lies and we do not want to associate with him. May I also say, politicians, and leaders who lie are not good people to follow. 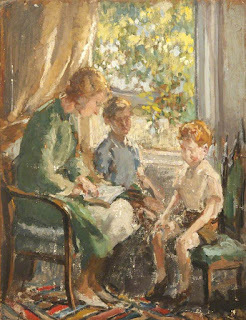 My mother taught us as children to tell the truth, and we did a reasonably good job of truth telling. I have tried to impress on our children that Truth is always best and a Liar will always be found out. Jesus told us that He was the Way the Truth and the Life. May we ever seek His Truth! Lots to think about in this story, such as people like Marie who lie and manipulate others as a way of life and teach their children this lifestyle. The pain that is passed down! I compared it to the line about politicians and leaders who lie and how it affects us and our country under their authority. And I noted your “no nonsense” style of confronting Marie and the action you took with her revealing consequences of her behavior. I’m just sitting up a little straighter after reading your story. Hello Aunt Hazel, This is rather puzzling. What will her kids do when they are all grown up? I never used to think people lie for no good reason but having grown a little more mature, I am learning to read in between the lines. Thank you for today's story. Sad to say, the children grew up and only one girl broke free from her past. The boys not sure of all of them, but some in prison. Hi Hazel, so good to be visiting here again. Your story is very true. It is always best to tell the truth. A lie will always be exposed eventually, and the liar caught out! Hazel, being one who has a difficult time when lied to, I so appreciated this story. You made a wise point, beyond that of just lying. We must be wise in our relationship with those who habitually lie. It may take walking away from constantly helping them so as not to enable them in their pattern of lying. May we ask God to give us discernment so that we can distinguish truth from lies. Grateful to read this today! Blessings! A sad story. Many people feel the need to lie and deceive their way through life. Little do they know that God cannot be fooled. I think the worst thing was that Marie chose not to trust your heart, that you were a good person who would help no matter what. Lies are insidious things. They can start as a small fib, but like a wildfire, they can spread quickly and cause irreparable damage. Who can tame the tongue? May the God of Truth (WITH a capital "T") lead us into truth-full ways. And may we ever be open to the Holy Spirit's discernment and wisdom and guidance.